We are lucky enough to have a playroom in our home, a place to keep all the toys and games that come with children. When we first moved into this home, the playroom was the first room I tackled. I started with a bookcase and some pops of bright primary colored art on the walls. 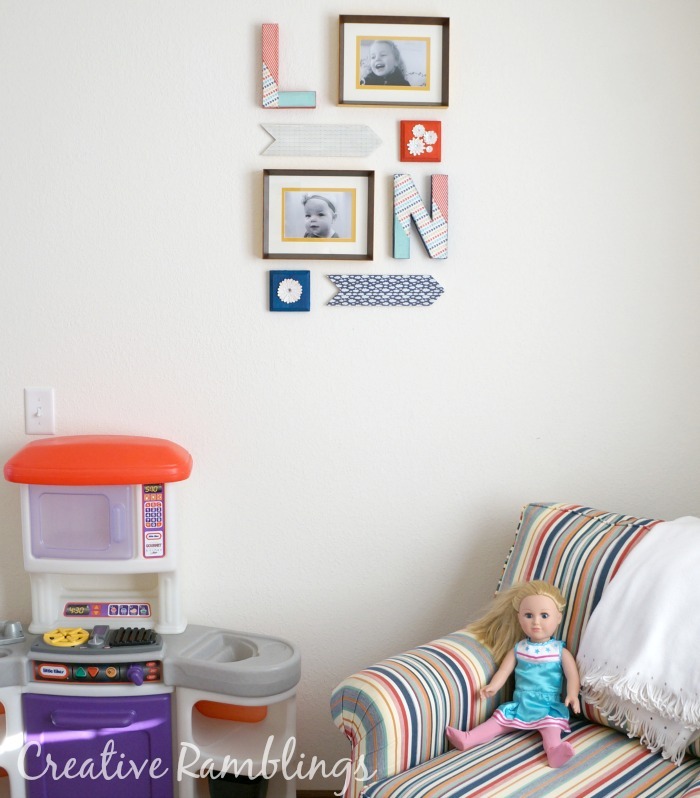 This week I added another colorful gallery wall with pictures of the girls and monograms, a Colorful Playroom Gallery Wall. This playroom is one of my favorite rooms in the house. A month after we moved in I painted this laminate bookcase and brought new life to an old piece. 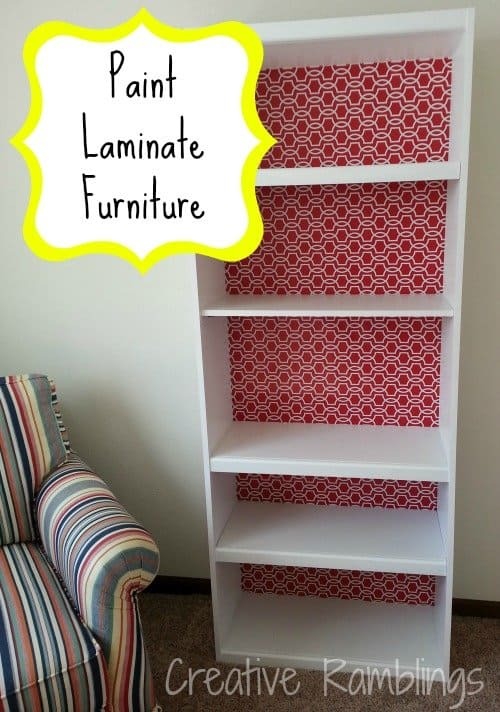 Yes you can paint laminate furniture! Check out this tutorial and see how I did it. This bookcase is holding up great almost 2 years later. 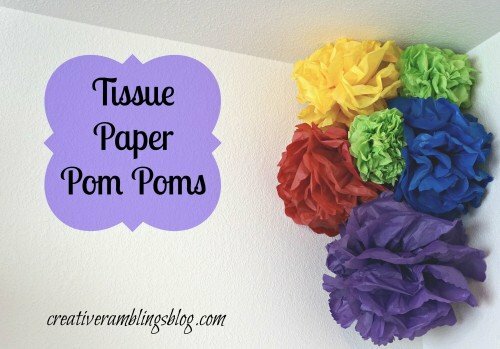 I also added these colorful frames and a corner full of tissue paper pom poms. 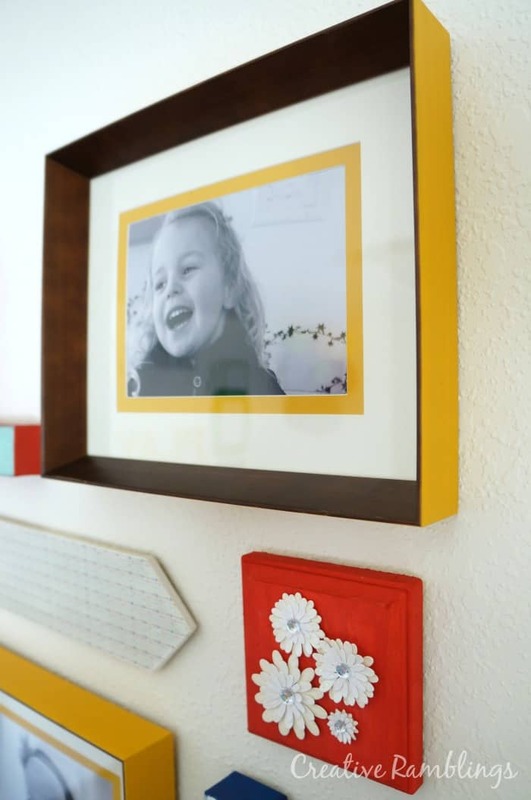 For this new gallery wall I started with 2 yellow frames I found on clearance at Michael’s and some black and white pictures of my girls. I added in some arrows, painted wood squares, and monograms to round out the wall. To create the arrows and monograms I used Silhouette Washi Sheets. 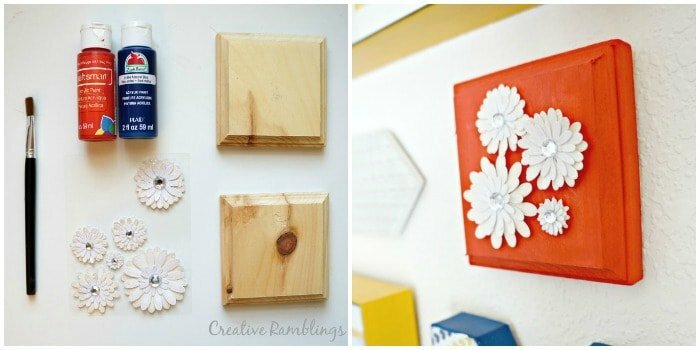 These can be cut into intricate shapes using your Silhouette machine, or using scissors as I did. I painted the sides in red and blue, the face in white, then layered the washi sheets over the top. You can get your hands on some of this by clicking on the image below. 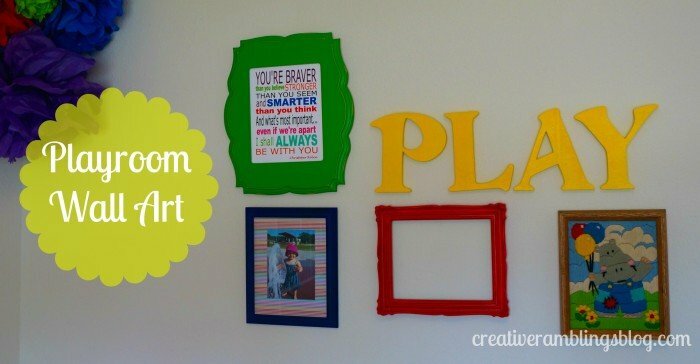 To hang the pieces on this wall I used Command picture hanging stripes. I love these, I am so indecisive when it comes to things on my wall. These hold light objects well and come off clean. The image link below is an affiliate link. This wall brightens up a previous blank space and looks so good with the other bold colors in this room. Do you have a playroom, how is it decorated? Like this post? I’d love for you to share it. This is adorable! Our playroom walls are BARE.. it looks horrible! This is a great idea! Thank you so much, I love fun art in a playroom it’s the perfect fit.